Hi. First of all, Lost. I'm not sure what to think. The ending was amazing but upsetting all at the same time. I'm still confused about some things but maybe it wouldn't be Lost if it didn't leave a few loose ends, even in the finale. This could easily turn into a huge spiel, so I'll leave it at that. I made the wrong Tuesdays with Dorie recipe, Again. This is supposed to be a banana coconut ice cream pie. I just glanced at the May recipes when they were first posted. All I saw were the words 'ice cream,' and 'pie'...well, a tart is pie's cousin and ice cream is what it is. I can't come up with a valid excuse. June's lineup will be carefully written out, studied, and bookmarked. One more bit of eye-rolling information. I have no idea how this tart tasted. It was made for someone I barely knew who needed something for a last minute dinner party. But the reports were all positive! And really, how could this not be spectacular? 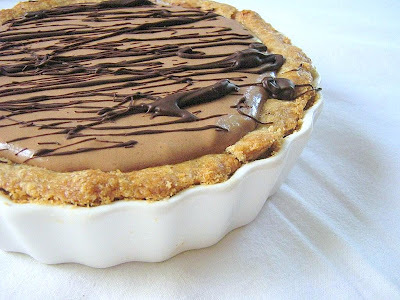 The walnut/brown sugar crust is covered with a layer of melted dark chocolate. I used the chocolate ganache ice cream recipe for the filling and drizzled more melted chocolate over the top. The more I write about it, the more envious I am of the people who were able to eat it. Please visit Spike, of Spike Bakes, for the banana coconut ice cream pie recipe. I'm so sorry that I missed this one, Spike. As punishment, I had to write out this long recipe. Which is not very easy since Dorie's book is so large and my desk is so small. On a side note, I love that your blog makes me think of Buffy the Vampire Slayer. Baking: Center a rack in the oven and preheat the oven to 400 degrees. Butter a piece of aluminum foil and press it, buttered side down, snugly into the tart pan; put the tart pan on the baking sheet. Bake the shell for 20 minute, then remove the foil. If the crust has puffed, press it down with the back of a fork. Bake the crust for another 8 minutes or so, until it is firm and golden. Transfer to a cooling rack. 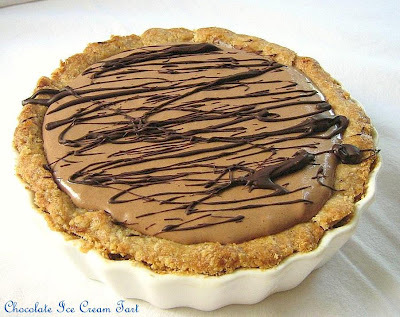 Scatter the chopped chocolate over the bottom of the hot crust and use a small spatula to spread it even. Cool the crust to room temperature. To Make the Filling: Put the almonds in the processor and pulse and process until they form a paste, a minute or two. (They never formed a paste for me). Add the ice cream, extract or amaretto and the nutmeg and pulse the machine on and off in quick spurts until the ingredients are just blended -- don't process so long that the ice cream melts. 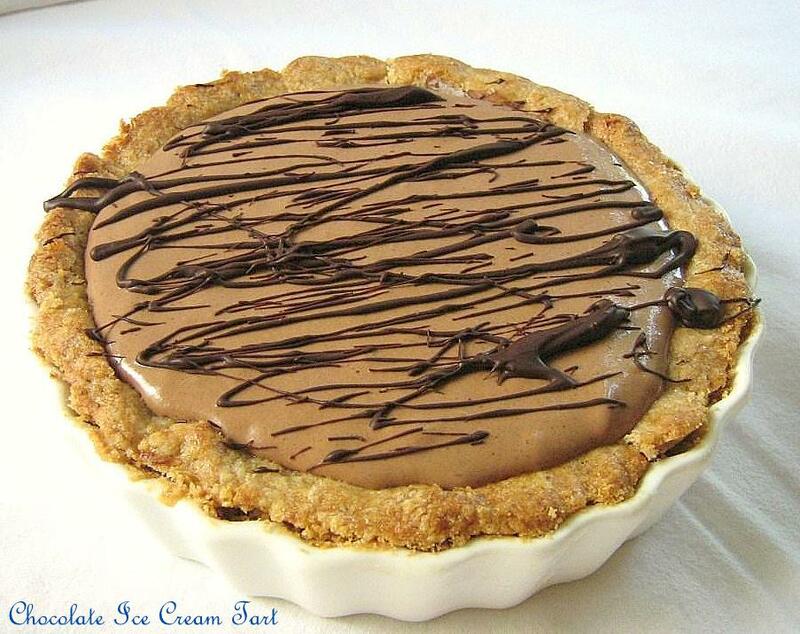 Scrape the ice cream into the tart shell and smooth the top. Put the tart in the freezer for at least 30 minutes. 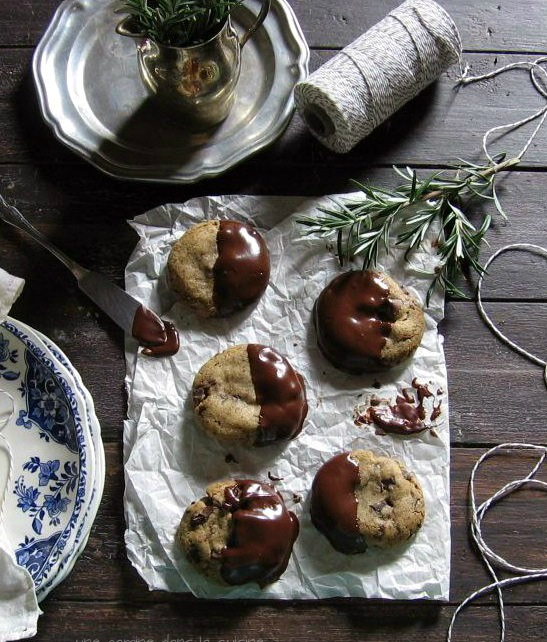 To decorate: Melt the chocolate in the microwave or in a bowl over a pan of hot water. 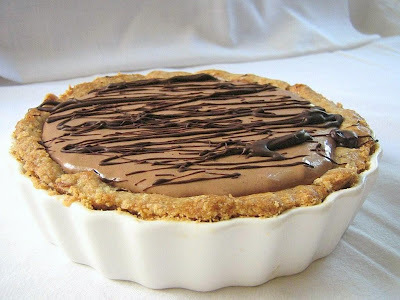 You may put the melted chocolate in a small piping bag fitted with a small plain tip or simple dip a fork in the chocolate (which I did) and drizzle abstract patterns over the top of the tart. Hey Valerie, I thought you just liked to change your headers. Some people do that almost weekly. I understand your dilemma though-it's hard to decide. This looks delicious even if it isn't what you were supposed to make. By the way, I'm trying to develop a vegan version of your last cookie post. Cuz they look good...! p.s.-the new profile pic is cute. Tart looks yummy as well, although not sure if I would have the patience to wait that long to eat it! You are so funny, Valerie! Who cares if you missed the correct TWD? This one is DIVINE! Oh my that looks delicious! You get to have all the fun, cause now you have an excuse to make even more ice cream! This looks fantastic! I love the new photo--it does go with your blog name. I would keep it in the large font though, as I really had to squint to see the tiny one above it! Ciao ! I like this header but I don't know about the others... I understand it is hard to choose ! I love your header photo, Valerie!!! Makes me feel like Mary Poppins bobbing over the rooftops. :-) The tart sounds fabulous - even if it is the wrong recipe. :-) So glad I'm not the only distracted one these days! Spike, I mean Spoike, That's brilliant! I'll be sure to use that pronunciation in my head from now on. Thank you, Natalia, Krista, and Beth. I think I have it narrowed down to 3...or 5. 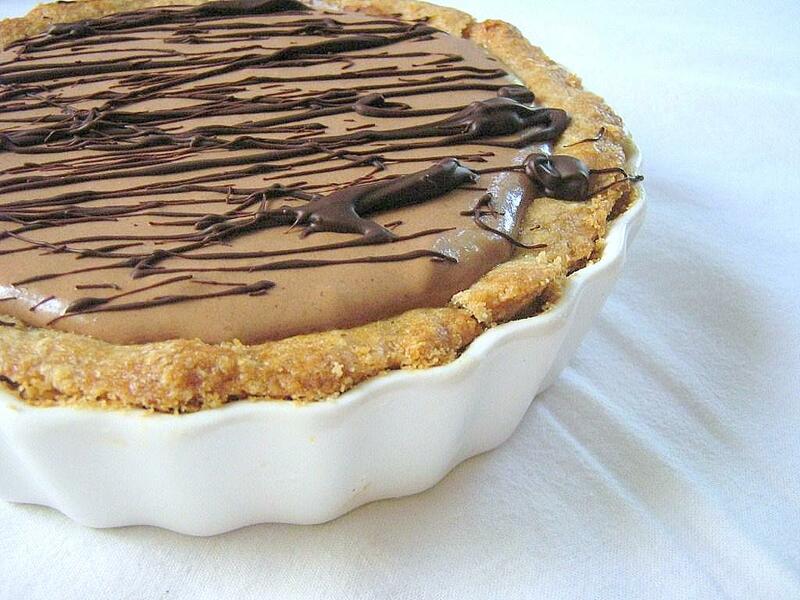 I love the topping..very nice looking tart! 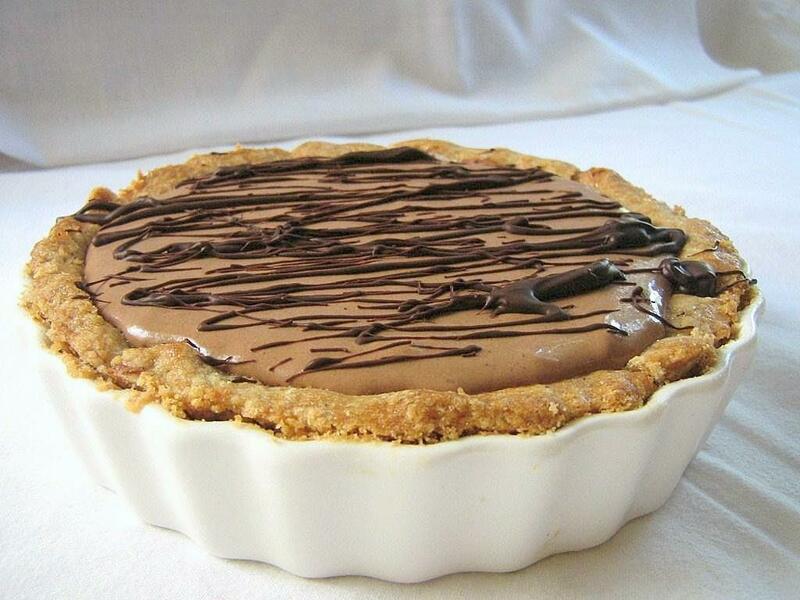 I'm in love with your tart! I love the chocolate ganache ice cream as you do. If you didn't get any, you must make it again so you can enjoy it! I like your ideas for the blog. If you like green, maybe a backdrop of herbs? And if most of the blog is black and white, the color food photos will really pop. 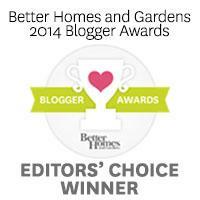 Stopping by to let you know I gave you an award on my blog. Oh gosh, does that look ice cream tart look yummy! And I so want to make your World Peace cookies. Your pie looks gorgeous! I like the idea a b&w photo, but maybe one more food oriented. Clivia, Thanks. I think you are right. I just seem to be on a landscape kick lately. Steph, I'm afraid to even listen in on any Lost debates. That ending is going to be scrutinized for a long time. I kind of want to let it be, even though I don't have a clear idea as to what really happened. Sally, Thank you so much! The tart looks so heavenly, I've always loved your blog through all the changes so no matter what you decide on it'll be great, and I was at first disappointed in the ending and then realized how brilliant the writers were. All the little religious symbols left unanswered along with myriad other details -- it's ok. It's the characters that carried the show from the beginning -- brilliant casting -- and the ending belonged to them. There are tons of theories on the internet about what's what. How else could the writers have generated such a buzz? The tart looks very elegant. I like the new header, it's clean and bight. It is your personal space, it should most definitely please you. Wrong or not, it sure look perfect to me. That tart is awesome! Something that'd be much appreciated at my place.